I recently received a delivery from Target. (As a Red Card holder, shipping is free and quite convenient for a busy working mom.) 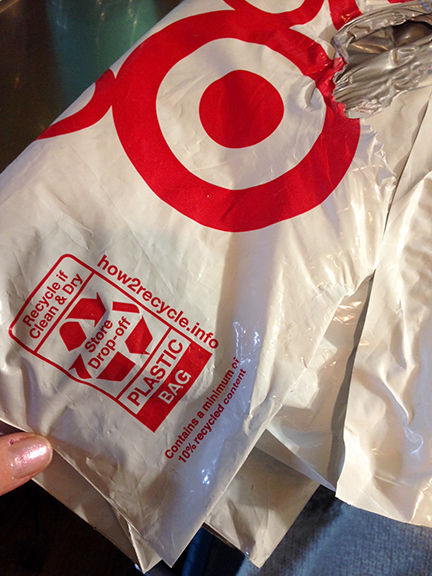 The item arrived in a plastic bag, which is NOT recyclable in Northbrook or most places. Insert sad face here. 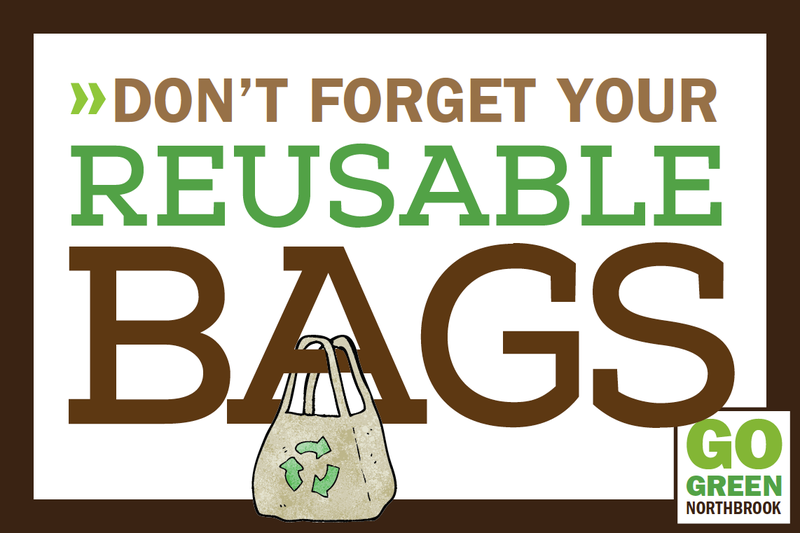 When I go to a store firsthand, I always have my reusable bags with me. But I have no control over packaging materials chosen by a company for delivery… But then I noticed a special label in the corner. It’s highly suspect that plastic bags, films (i.e. ziplock bags) or wraps (i.e. Saran Wrap) can actually be recycled. And a store’s collection of plastic bags is and has been a very elusive process to which no one seems to be able to speak as to what actually becomes of this plastic upon collection. So after weeks of keeping this bag and it’s recycling label on my home office desk, I finally followed through to find out what it’s all about this morning. 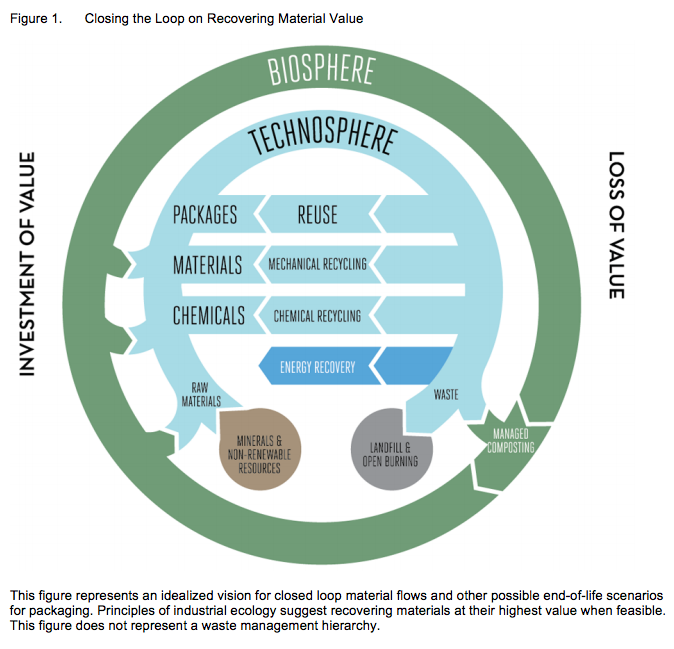 At the very least, I discovered a movement towards closed loop material flows embraced by big name companies. If plastic caps are found on plastic containers such as plastic drink bottles, they should be screwed back on and recycled with the container upon emptying. Please keep in mind, THE NEED TO ELIMINATE 1-WAY PLASTIC BAGS REMAINS CRITICAL. Even when that issue is addressed, ‘disposable’ plastic is still a force to be reckoned with. 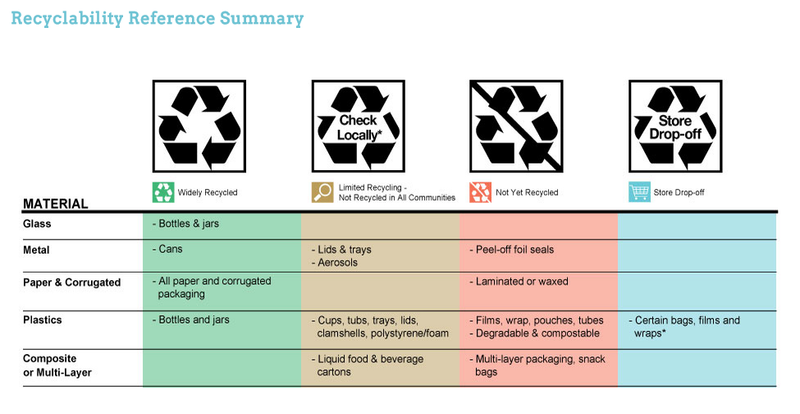 So, I guess I’ll feel content that businesses and nonprofits are working towards making packaging materials reusable, even if it may actually may be down the road before it becomes the norm. 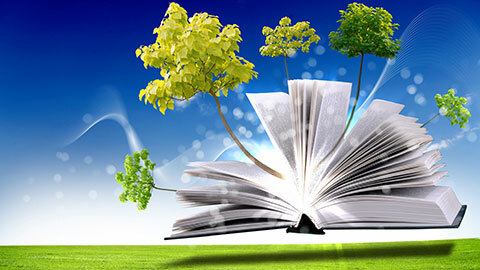 I applaud the Sustainable Packaging Coalition and GreenBlue for their efforts!